Home News Trump brushes off Ocasio-Cortez. She responds by hitting the president where it hurts. Ocasio-Cortez took to Twitter to respond soon after. She added that’s probably why he’s refused to make his tax returns public. 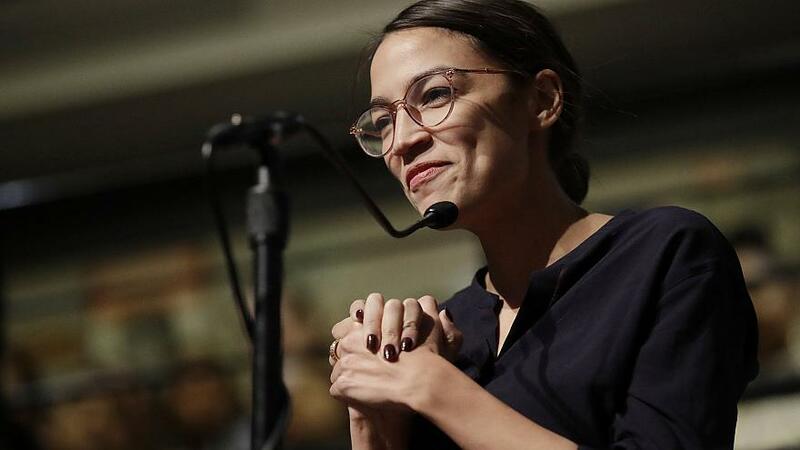 Ocasio-Cortez has watched her stock skyrocket in the Democratic Party since pulling off a surprising upset over longtime Democratic Rep. Joe Crowley last summer. She has built up a large social media following and has been unafraid to challenge leadership in her own party. Last week, the 29-year-old lawmaker issued an impassioned response on MSNBC to Trump’s national address calling for wall funding to end the government shutdown. Trump claimed to have predicted Ocasio-Cortez’s victory over Crowley in an August interview with Bloomberg. A study published by Axios on Sunday showed that Trump and Ocasio-Cortez drove the most engagement on Twitter by far among all U.S. politicians during the past month.